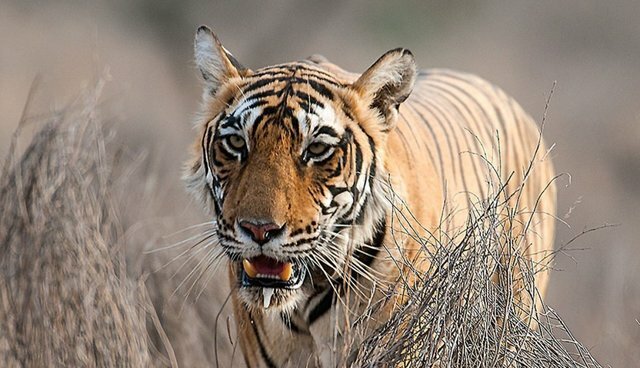 The crown prince of Abu Dhabi is determined to save the tigers. Along with a group of other key international donors, the United Arab Emirates leader Sheik Mohammed bin Zayed Al Nahyan joined in pledging $80 million to wildcat conservation efforts over the weekend. Each of four donors and their families signed away $20 million to the New York-based conservation organization Panthera, which will develop its habitat protection efforts aimed at tigers, lions, jaguars, snow leopards, cheetahs, clouded leopards, cougars and leopards. "This is a truly multinational advance," Panthera founder Thomas Kaplan told the Associated Press. "And we hope it serves to be a template for wildlife conservation ... We hope it's just the beginning." Sheik Mohammed's donation to wildcat conservation builds on the legacy of his father, Sheik Zayed Bin Sultan Al Nahyan, who has been called a passionate advocate for wildlife. But the crown prince's conservation measures also stand in notable contrast to the actions of other wealthy Emiratis, who have glamorized keeping lions, tigers, leopards and other big cats as pets. According to Frederic Launay, the chairman of the new Panthera fund, Sheik Mohammed does not own wildcats. Instead of trying to popularize their use as status symbols, the crown prince is trying to popularize their survival.